The South African Nuclear Human Asset Research Programme (SANHARP) hereby invites applications for its scholarships and bursaries from full time students interested in the undergraduate and postgraduate studies in the field of nuclear power generation. SANHARP is offering this scholarships and bursary programme in an effort to address nuclear skills for the envisaged 9,600 MWe of nuclear power generation to be commissioned from 2023 to 2030. By this call, all interested and qualified candidates are encouraged to apply for the 2011-2012 academic session. Under this programme, there are 8 Honours, 6 Masters and 5 PhD competitive bursaries available for successful students. All eligible students must have a supervisor(s) and a research proposal approved by SANHARP. On completion of the studies, students are required to serve the nuclear sector for the number of years they were sponsored. If you are eligible and are interested in applying, visit the official website via the link to DOWNLOAD and fill in the APPLICATION FORM on the official site. 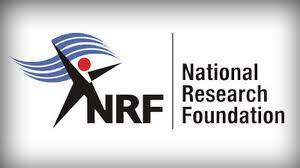 SANHARP – South African Nuclear Human Asset & Research Programme – supported by the DST, is one of the two programmes of the ARI (applied research and innovation) a new directorate within the National Research Foundation (NRF) of the South African government. The second programme is the THRIP - The Technology and Human Resources for Industry programme – supported by the dti. The SANHARP aims to address some of SA’s nuclear strategies: i). Development of industrial support base; ii). Support for research, development and innovation; AND iii). Development of human resources.